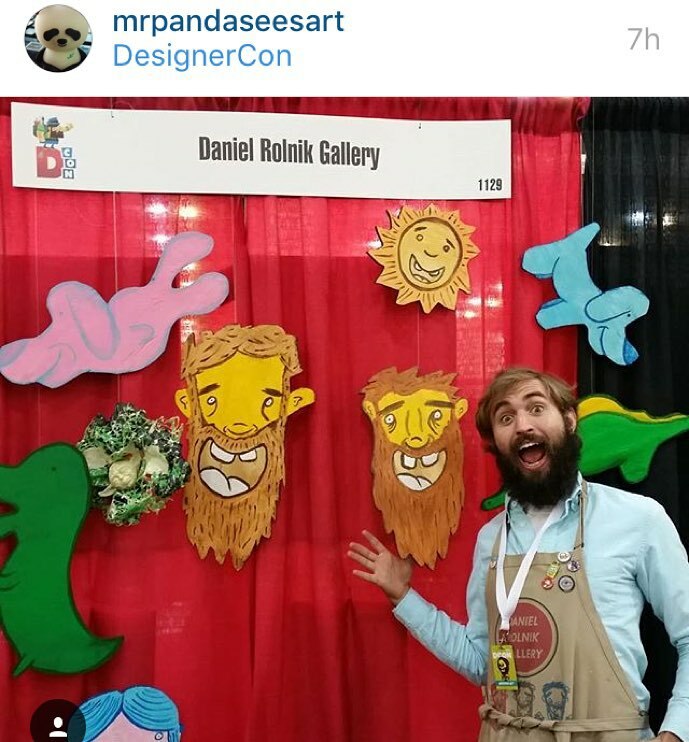 DesignerCon 2015 was the first year I was doing the event as a gallery and not as a publishing company. It was intimidating because I had so much art to choose from, but I had come up with a rough sketch one day and went about figuring out how to make it work. 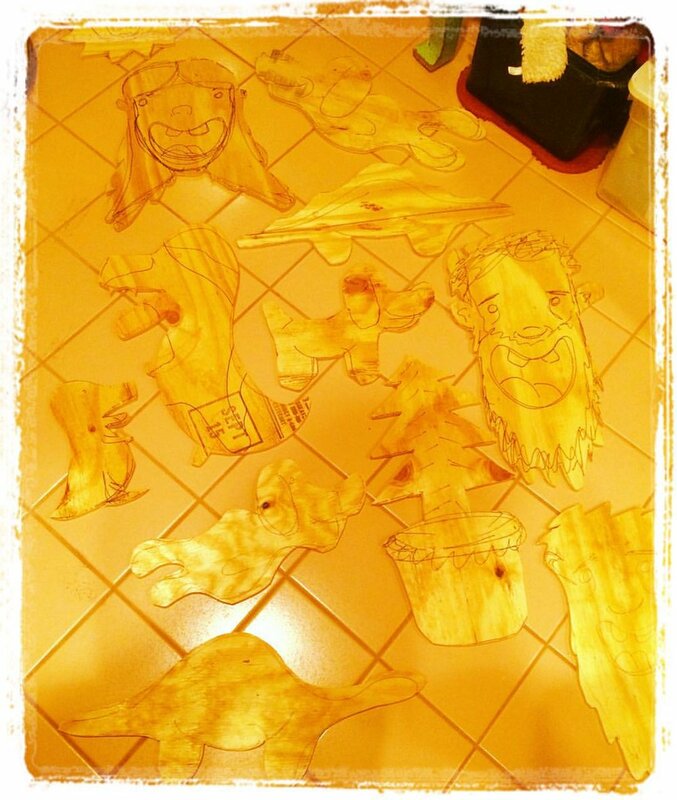 For the backdrop of our booth, I cut out and created a bunch of my little wooden characters. I also brought my entire record store shelf with me as well as a rolling print rack I had built. Honestly, the design was a bit confused, but it was still fun. Jamie, the gallery's intern was able to help out during the convention too, which was really helpful. We also had one of Pengu Labs' animatronic cats, which was quite a crowd pleaser. On the last day of the convention, I asked John Kilduff to come by and do live drawings for people. Ben, who started DesignerCon, had commissioned John to create a 'Back to the Future' painting for his collection, which was on display in the entranceway to the show - so he announced on the loudspeaker for everyone to visit our booth. It was hilarious because we told people that John created Rick & Morty and other fictitious things and then John did super fast and loose drawings of whatever people wanted. DesignerCon is an annual gathering of sculptors, illustrators, and toy makers who bring their latest projects and works to fans. It's like the artists-alley of every major comic book convention put together! Frank and Norm give a walking tour of the show and talk about the culture of designer toys and collectible pop art.